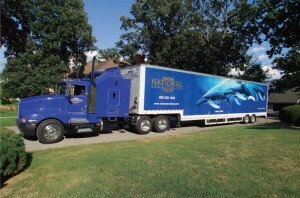 Providing residential, national, international moving & storage solutions for over 35 years. Century Van Lines Trusted brand in moving for over 35 years. Century Van Lines is the proven leader in household relocation. Whether you’re moving across town or across the world, trust our professionals to get the job done right. Century Van Lines is the proven leader in corporate and executive relocation. Whether you’re moving across town or across the world, trust our professionals to get the job done right. Century Van Lines offers affordable, professional local moving services. Get a free instant quote for your local move! Our team of full-service movers offers exceptional residential moving services, commercial moving services and even packing and crating to alleviate that stress and get you settled smoothly and seamlessly. We are a leading, full-service moving company that has served Kansas City and the surrounding communities for nearly 40 years, providing exemplary moving and storage services to thousands of satisfied families. Our competent, careful moving crew is highly trained in virtually every aspect of the moving process and prepared to take on any related endeavor, whether it involves an international move or simply some expert moving advice and guidance. Specialized shipment preparation, including pre-move disassembly and servicing. Century Van Lines understands that there are special considerations when moving seniors. We take extra care in moving senior customers to ensure they are comfortable throughout the entire process. Our movers are clean-cut, professional, and courteous. We truly want each and every one of our customers to have a stress-free moving experience. Many of our senior clients sing our praises and refer their friends and family. We believe personal referrals are the best reflection of exceptional customer service. If you are looking for a moving company for your senior move, choose Century Van Lines. Moving your business is incredibly difficult and stressful. 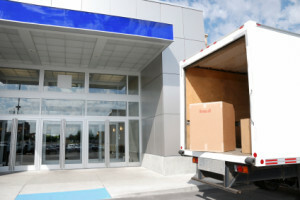 Your business may have to put everything on hold during the moving process. Century Van Lines knows that time is money. Our moving company is like a well-oiled machine. We can get your office packed, loaded, and off to your destination quickly and efficiently. Before you know it, you will be back up and running in your new location. Next time you are looking for an experienced commercial moving company, give us a call. We would be happy to provide you with a moving estimate so you can keep on budget. Contact Century Van Lines today by calling 913-651-3600, or get the ball rolling by requesting a free moving estimate. Century Van Lines is proud to be recognized by the American Moving & Storage Association as a ProMover. Century Van Lines is proud to be recognized by the American Moving & Storage Association as a International Association of Movers.